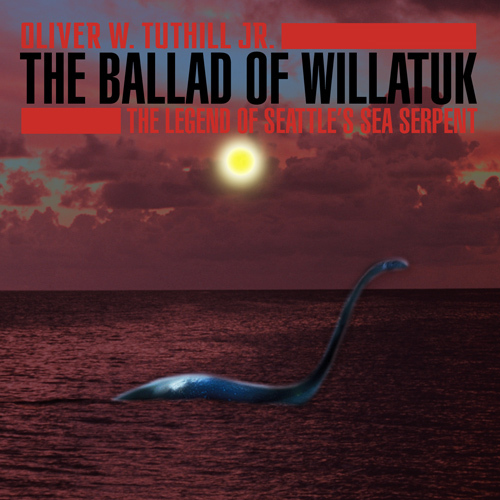 The Ballad of Willatuk tells the story of how the Northwest Indian Tribe known as the Wonkatila were saved by the sea serpent the Indians named Willatuk (God of Ocean) during the great blizzard and quake of 1736. Legend has it the mighty beast rose up through the ice of Lake Washington to drive hungry wolves off who were attacking tribal members as they tried to pass over the ice of the lake during a monstrous blizzard. The creature breathed warm air on them to save them from freezing and even brought them fish so they would not starve. The song features the Mountlake Terrace High School Dynamics Vocal Jazz Ensemble.